An Android-powered point-and-shoot is an interesting concept. Rather than fumbling through a camera company’s unintuitive UI, or using services that confine the owner, why not take advantage of the most widely used OS on the market? Now you’ve just opened yourself up to the second biggest digital ecosystem, giving you nearly endless integration possibilities. 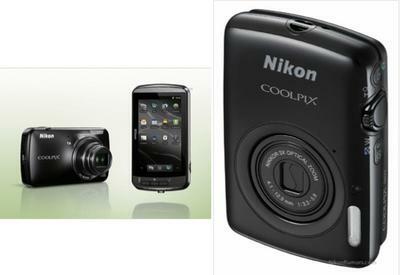 Nikon’s Coolpix S800c, initially rumored earlier this month, promises to spark life back into the camera world with Android 2.3 as its nucleus. Who would’ve thought a mobile OS, something that runs on devices currently overtaking the point-and-shoot market, could be a cog to help revive the industry? While the Coolpix S800c hasn’t been made official, what you see above is what the camera will allegedly look like, according to Nikon Rumors. This is one thing you shouldn’t judge by looks alone, as the real fun will be in seeing how Android improves (or hinders) the experience. Imagine being able to snap photos from a real point-and-shoot and quickly upload them to Facebook or Instagram? Nikon supposedly has an announcement planned for August 22, so we have just two days until we know what this guy can do, and how much it’ll cost.